Orlando Attorney Steven D. Kramer is the founder of Kramer Law Firm. Kramer has been recognized as a Best Lawyer in America for 2012, 2013, 2014 and 2015 (Woodward/White, 18th-21st Editions). Best Lawyers is a publication of outstanding attorneys compiled by more than 3.9 million peer-review surveys in which leading lawyers confidentially evaluate their professional peers. Best Lawyers is partnered with U.S. News & World Report, the leading rankings publication in the U.S.
A very small percentage of Attorneys in the United States are listed in Best Lawyers. Lawyers are not permitted to pay any fee to be included in Best Lawyers. Kramer was also recently recognized in Florida's Best Lawyers 2013 and 2014 Editions (featured in the Wall Street Journal and Orlando Sentinel). Kramer has also been recognized as a Top Lawyer in Orlando by Orlando Magazine for 2012, 2013, and 2014, as a Legal Elite Up & Comer by Florida Trend Magazine in 2010 and 2013, a Top Lawyer by Orlando Style Magazine, and Kramer has been rated 10 out of 10 as "superb" by Avvo.com since 2009. Steven D. Kramer was born in Florida and graduated from Longwood Elementary, Greenwood Lakes Middle School, and Lake Mary High School in Lake Mary, Florida. Kramer has served as President of the prestigious William's Inn of Court, President of the Seminole County Bar Association, President of the Seminole County Legal Aid Society, is a Member of the Florida Council of Bar Association Presidents, and he serves as Vice-Chairman and Commissioner on the Judicial Nominating Commission (18th Circuit). Kramer is a weekly guest on the Philips Phile on Real Radio 104.1 FM and nationally on Sirius XM/I Heart radio. Kramer is also a weekly guest for “Kramer Makes the Call” on the Monsters in the Morning Show also on Real Radio 104.1 WTKS and Sirius XM/I Heart Radio. Kramer has served as a legal analyst for various media outlets including Fox 35 News, News 96.5 WDBO, and Mix 105.1 WOMX. Before becoming an attorney, Kramer was a professional musician and composer. 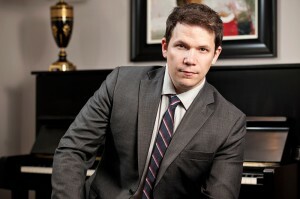 Kramer believes that the challenges of mastering music keep his mind keen, his demeanor humble, and that the creativity it fosters will serve his clients well by giving him the insight to approach every case fresh and to develop innovative and unique strategies.